857 games spanning 18 years... from 2nd Division to European Champion... Five League Titles, 2 FA Cups, 2 UEFA Cups... a true gentleman and wonderful ambassador for the club. Sometimes the word 'Legend' just isn't enough. 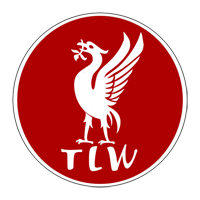 Ian Callaghan talks to TLW. Let’s start at the beginning. How old were you when you signed for the reds? I signed as an apprentice when I was 15. I was a mad Liverpool supporter but I didn't see them play an awful lot because when I was at school I played for them in the morning and the boys club in the afternoon. When I signed at 15 the club missed out on promotion quite a few times, but you just got the feeling when Bill Shankly arrived that something special was going to happen, and it did of course. You succeeded Billy Liddell in the Liverpool side. Was he a big help to you, and did you get to know him very well as a person? Yes he was, and I did get to know him quite well. He was a lovely man and was always prepared offer advice and encouragement. Years later we were on the spot the ball panel together, so I got to know him again in later life. You were put into the side as a 17 year old, did you find that hard? No, I actually had a really good debut. Everyone helped, I had all the senior players around me and everything went well. I suppose the following season I thought to myself that I was going to be in the team, but obviously I wasn't. But I was only 17 so I had a lot of time on my side and it wasn't long before I was a regular. So you had to go back into the reserves for a while then? I did go back into the reserves, yes. They had thrown me in the 1st team towards the end of the season, and in the close season they signed a guy called Kevin Lewis from Sheffield United. Kevin played half the promotion season and I played half as well. I got a second division winners medal, but it wasn't until we got in the first division that I became a regular. For a while it seemed the reds were never going to get out of the second division. Many people say it was the arrival of St John and Yeats that proved the catalyst for the clubs rise to the top. How influential were they? Obviously Bill Shankly paid a lot of money for Ian and Big Ronnie. Well it was a lot of money in those days, about £35,000 I think it was. They came in and made a big impression. Big Ronnie at the back and Ian scoring the goals. So Bill built the team around them, and clearly they had a big influence. How good was Roger Hunt and where would you rate him in comparison to the other great strikers you've seen and played with? He's one of the best there's ever been. You look at his record, the amount of games he played and the goals he scored, and he's definitely up there with Rushy and Robbie Fowler and Michael Owen. Did having Hunt and St John up there make it easier for yourself and Peter Thompson? Yeah, we complimented each others games well. We were direct wingers and our aim was to get to the byline and cross the ball, which we did, and Roger and Ian went on to score a lot of goals. You were around when the Kop really started to make a name for itself. Do you have any specific memories about the singing or atmosphere back in those days? Well there was 28,000 people on the Kop and they always made a lot of noise. The one particular incident which stands out is a famous one, when the Leeds' goalkeeper Gary Sprake threw the ball into his own net, and the Kop started singing 'Careless Hands.' It was brilliant, very quick and clever. In 61/62 when the 2nd division title was clinched and the players had to come back out of the dressing room as the crowd wouldn't go home. What do you remember about that? I remember it was a long time ago! I don't know how long they stayed after the match, but they were just so elated that we'd got promotion. They'd missed out for a lot of years, and they were just so happy that it had finally happened. It was a really special day. 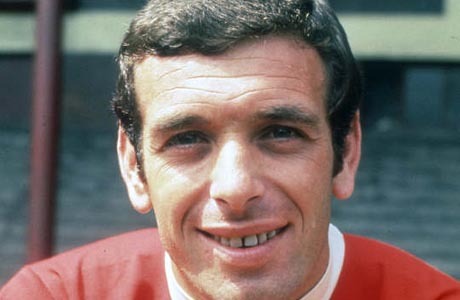 Was your 1st goal against Everton in 1963-4 the best of your career? Oh God! Well I didn't score many, but I suppose it's memorable when you score against Everton in a derby match. I don't know if it was the best, but it was a special memory. I didn't score many as I say, but I got some important ones I suppose. What about the early days in Europe? It must have been exciting. We played our first game in Europe against Rejkavic, and we won over there and at Anfield. It was all a new experience playing abroad and playing against foreign players. I think that's what made Liverpool a great team to begin with, playing in Europe and picking things up from foreign sides. It definitely made us a better team. What are the most outstanding memories you have of travelling around Europe? I suppose they were all fantastic experiences, but playing in the San Siro in ‘65 was an unbelievable experience. We won 3-1 at Anfield but we got beat away and didn't get through. Another one which stands out is going to Trabzon in Turkey, when we were all in the dressing room beforehand and all the lights went out. Nobody could see what they were doing before the match, but I think that's part and parcel of their tactics. The atmosphere was electric and it was all a fantastic experience. Managers now always use midweek Euro trips as an excuse for poor league performances. You didn't travel in the luxury players do now, and you also had a much smaller squad. Did all the travelling make it more difficult for you do you feel? Well the game has changed so much now and it's a lot quicker. Even from the start we went on chartered flights and if we could get back straight after the game we did do. It all helped, because if you play midweek and you can get back early it gives you a day more to recover, especially if you've got a knock. We did really well in Europe when you think about it. When you look at the squad system clubs use these days, I wouldn't have liked it. I wanted to play every week and it would have frustrated me having to sit games out to be rested. From that point of view I don't agree with rotation. I think you play your best team and unless somebody gets injured you keep on going. Winning the FA Cup in ‘65 was a monumental achievement. How did that compare to winning the title. Winning the cup in 65 made history for the club, as they'd never won it before. For me to be part of it is brilliant because it's like you're making history for the club. 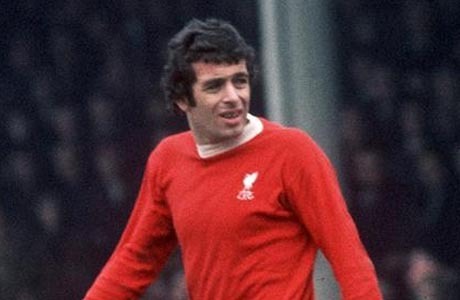 I always feel as though the first time you do something, like the FA Cup or the European Cup in ‘77, it's always a special occasion when you first do it, and of all the great memories I have from my career, I'd say the ‘65 FA Cup and the ‘77 European Cup stick out because it was the first time Liverpool had ever done it. When did you first realise that Gerry Byrne had broken his collar bone? Well I didn't know during the game, I don't think any of the players did. We knew he was badly injured but we'd no idea what had happened. It was just one of those things that happened, but when I think about it, and when I look at old videos and see him playing the whole second half with a broken collar bone it shows you how hard Gerry was. He was a hard player, one of the hardest players I've ever played with. Yes, it was a great psychological ploy really. To take the FA Cup round, knowing we'd never won it before, against Inter Milan who at that time were the best team in the world as they'd just beaten the South American champions, well it got the fans going and made a great difference to the game. We were really up for it. Do you think the Inter players were intimidated? I don't know if they were intimidated, I mean they played in the San Siro which was a very intimidating place of course. I think they may have been surprised at the amount of noise and what was going on though. Is that the loudest you've heard Anfield? Well the Inter Milan game and the St Etienne game were the most memorable ones of my career. Great games, noisy games. But fantastic football matches. At the time did you think that the away leg of the Inter Milan tie was fixed? Well at the time you don't know whether its fixed or not, but things happened which shouldn't have happened. They kicked the ball out of Tommy Lawrence's hands from behind and then put it in the net. But we didn't win the game, we lost the tie and even though it was proven years later that the ref had taken a bung, at the time you just play the game and get on with it. It must have been sickening though? Yeah it was, because we would have been close to the final, and to get to the final of the European Cup is a great achievement, but it just wasn't meant to be. When you got injured in 1970-71 and Brian Hall took over at right midfield, did you think your Anfield time was up or did Shanks always reassure you he'd find room in the team? I had a cartilage operation and it took a long time to come back, I was out for about two months. In the meantime Brian Hall had come in on the right wing and done very well, so I knew I wasn't going to automatically get back in the team. It wasn't until a guy called John McLaughlin - a local lad and a very good player who was playing centre midfield - got injured that Shanks put me in the side in centre midfield, and I created a whole new career there. It must have been a huge shock when Shankly resigned. What are your memories of it? Well I just couldn't believe it. It was in the close season and I was on my way to the Lakes with the wife and kids, and as we left the house the phone went. My wife said leave it but I went back in and answered it. It was a guy from the Echo and he said "Have you heard the news? 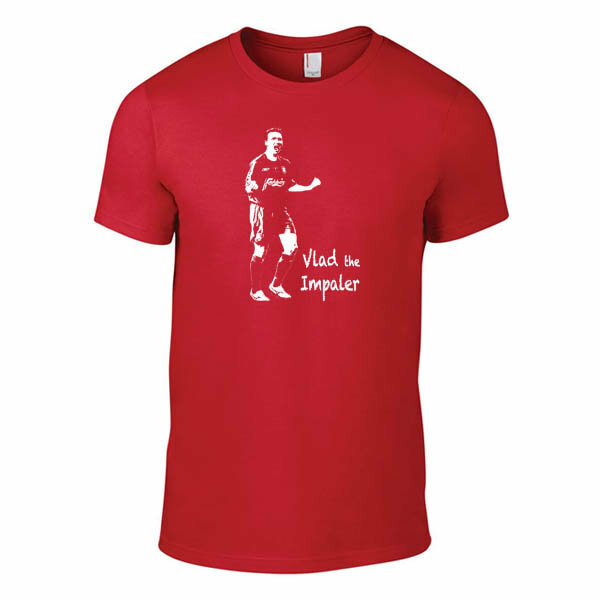 Bill Shankly has resigned" Obviously I couldn't believe it, but we headed off to the Lakes. I was very recognisable in those days with playing for Liverpool, so we had a weekend up at the Lakes and everyone just kept coming up to me wanting to know about Bill Shankly. Would you say there was much difference between Shankly and Paisley were in terms of how they wanted the team to play, or did Bob just carry on the way Bill left off? I don't think there was a great deal of difference really. There was a great difference in personality of course. Shanks was a great motivator and a bit of an extrovert, whereas Bob was an introvert, a very quiet man. But both got the best out of players with their own methods. But in terms of change, no, everything just continued as it did before. Same training, same way of playing, things just carried on and Bob went on to win 19 trophies in nine seasons or something. Incredible. Everyone has stories about Shankly, and I'm sure they've all been told now. But what's your favourite 'Shankly moment'? Oh there's that many stories that you hear about Shanks. They’ve all been told now I’m sure. My favourite though? I don't know really… I suppose the one which stands out for me was when he signed Alec Lindsay. Alec was one of the worst trainers there could ever be. He had a fantastic left foot, but when we were doing pre-season training Alec was probably last at everything. Then we got the ball out and were doing reserves v 1st team, and Alec wasn't showing anything at all. So one day, Shanks called him aside with Bob and said: "Listen Alec, when you were at Bury you were up having shots at goal, you were back defending, you looked a different player." So Alec said to Shanks "No, that wasn't me up and down the field, it was a guy called Davie Kerr." So Shanks says to Alec "No son, the red hair" Alec replied "Yeah, Davie Kerr had red hair" So Shanks turns to Bob and says "Jesus Christ Bob, we've signed the wrong player!" Of course Alec went on to be a great full back and had perhaps the best left foot I've seen in my life." Tell us what you remember about St Ettienne? Not a lot actually. It was a great game, a great occasion. 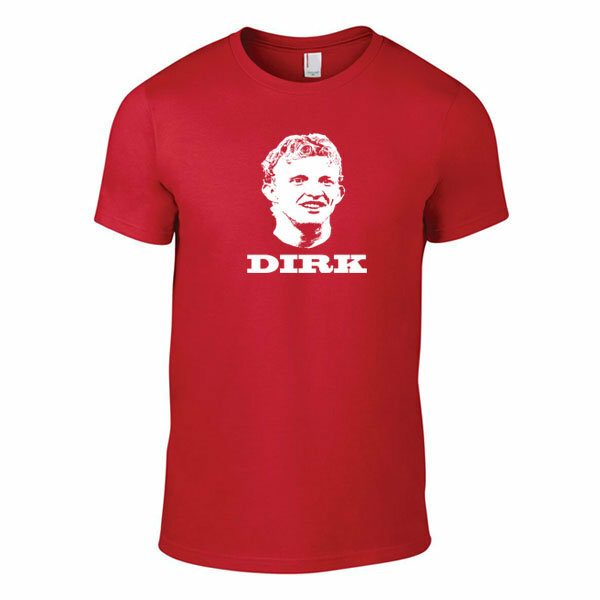 I've seen clips of it since, but the great thing about that game of course was the David Fairclough goal. When you think about David, he scored a lot of goals but this was probably the best he ever scored. Such control, he took it brilliantly, and to do it in the heat of the moment the way he did, it was absolutely brilliant. I said before that the first time you ever do anything its always the best, so obviously this was an unbelievable occasion. Paying in Rome, at that stadium, with so many Liverpool fans…. I've never seen so many travelling fans. It was just Liverpool's night. It was Kevin Keegan's last game, and I thought he was the best player on the pitch that night. It was a fantastic occasion in the clubs history. Who was better, Keegan or Dalglish? Oh I don't know, they were two different types of players. I suppose if you ask me who was the best player Liverpool ever had, I'd have to say Kenny Dalglish. Billy Liddell was brilliant for me, but in my time at Liverpool I'd have to say Kenny Dalglish was the best. What did the other players make of Keegan's 'superstar' status? Did it cause any problems? No, no problems. Kevin was the first player to have an agent, and he was a big, big player. Probably the biggest player since George Best in terms of being a 'superstar.' He was a smashing guy though Kevin, and everybody got on well with him, he was definiteley one of the boys. Who was the best player you played against? George Best, without a doubt. What was the best Liverpool side you played in? That’s difficult to judge, because each team has it’s own merits. There were the 60’s and the 70’s teams, I didn’t play in the 80’s. The two sides I played in were great sides, and I’d hate to say which was`better. I just feel fortunate to have played in such great teams. Was there much difference in the style of play between those sides? No I don’t think there was. Obviously Shanks was still there for the early part of the 70’s, and when Bob took over it was still the same players and we played the same way. We trained the same way too as Bob just stuck to the tried and tested. You were famously only booked once in your entire career. What do you remember about that incident? I remember it well. It was the replay in the league cup against Nottingham Forest. We’d drawn at Wembley and the replay was at Old Trafford. Pat Partridge was the referee, and he’d give a penalty against Phil Thompson, which was an awful decision. He tackled the guy about a yard outside the area. The guy fell inside the area and he gave them a penalty, which upset us. Then I just went for a ball with Peter Withe, a scouser. Anyway, the two of us went for a ball and he was a tall lad and I caught him in the chest. I think everyone was surprised when he took my name. It was unfortunate, and it’s been a talking point ever since. I think at the time Liverpool tried to get it scratched off but it wasn’t. Players now earn absolutely obscene amounts of money. Even the crap ones are millionaires. Someone as good as yourself would be making money hand over fist if you played now. Do you ever think about that? No I don’t look at it that way. I enjoyed every single minute and I think I was fortunate to be signed by Bill Shankly, who was probably the best manager ever, not just at Liverpool. I played in successful teams with great players, and the money wouldn’t have changed my life. I’ve enjoyed my life, and still am doing. I’ve had a lovely life and still do have. Being an ex-player means I still get to do interesting things, like last weekend I was in Athens as a guest of the Greek branch of the Liverpool supporters club. I’ve got my family round me, all my friends, I enjoy where I live and everything I do. So the money would have been nice, but at this particular time I look at it think it doesn’t matter to me. So you wouldn’t swap your success and medals for a less glittering career and a 50k a week pay cheque? Oh God no I wouldn’t, no. Not at all. 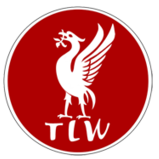 I feel myself to be very fortunate to have played at a time when Bill Shankly arrived, we were in the second division and I was there for the whole change of Liverpool football club. History was made, and I regard myself as a part of that history because I was there for such a long time. I wouldn’t change that for any amount of money.